Next up - Fenway! 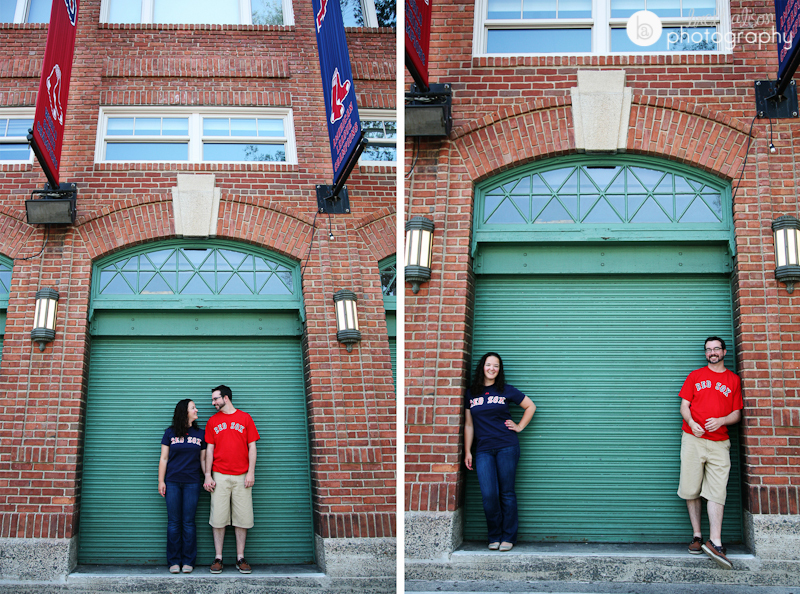 For all you baseball fans out there - some people even occasionally get to go inside the Green Monster for photos! That would be awesome! And my personal favorite - Boston's North End (this shot was taken at the top of a parking garage if you can believe it, but great view from the North End). 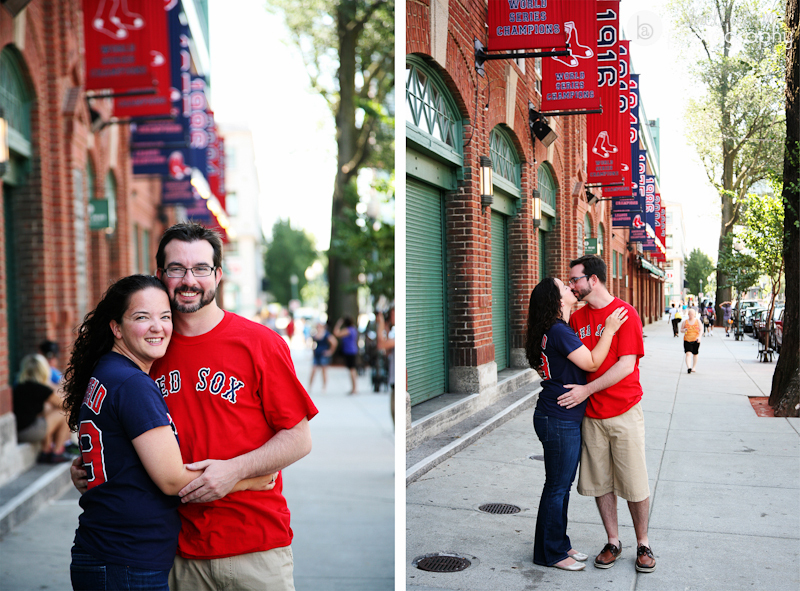 I love all things Italian, so the North End has a special place in my heart, and it's also great to end an engagement session with some pizza and cannoli! 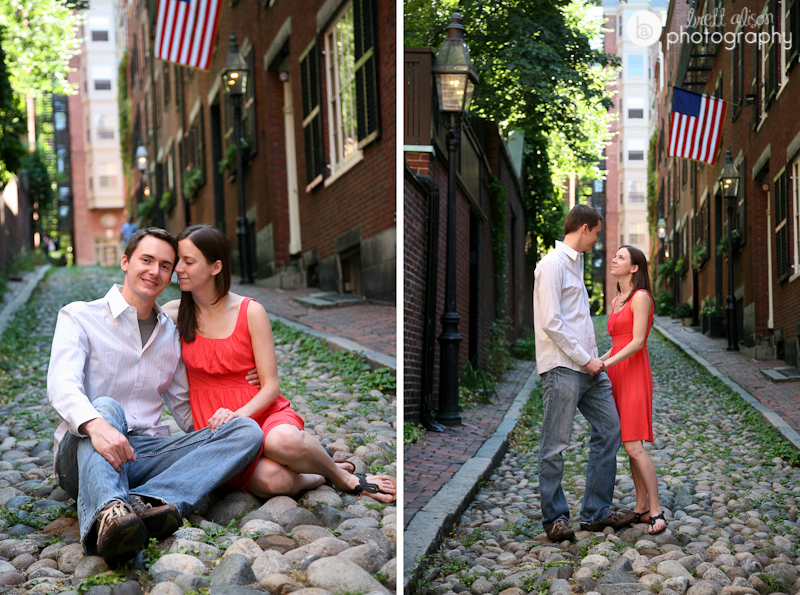 This list would of course not be complete without mention of the Public Garden! 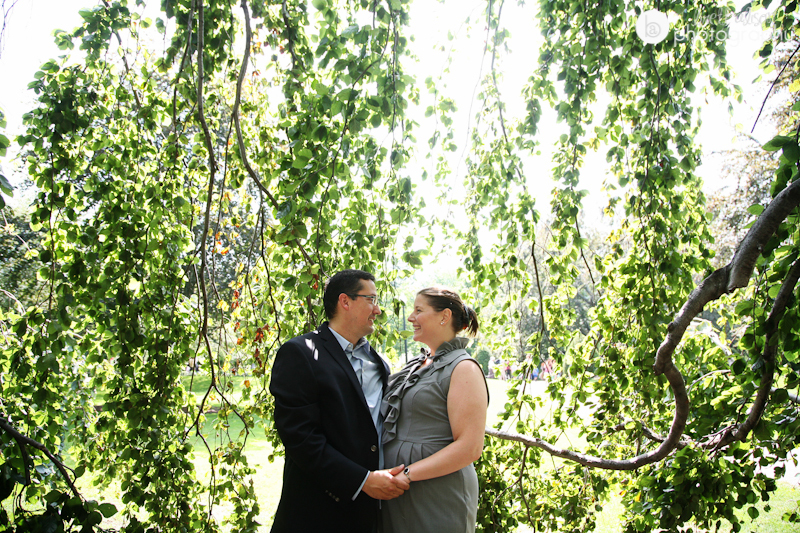 Visit on any Saturday throughout the summer and you'll find multiple photographers and couples (and wedding parties) taking photos all around the gardens. Luckily there are so many interesting little spots, we can all stay out of each other's way! 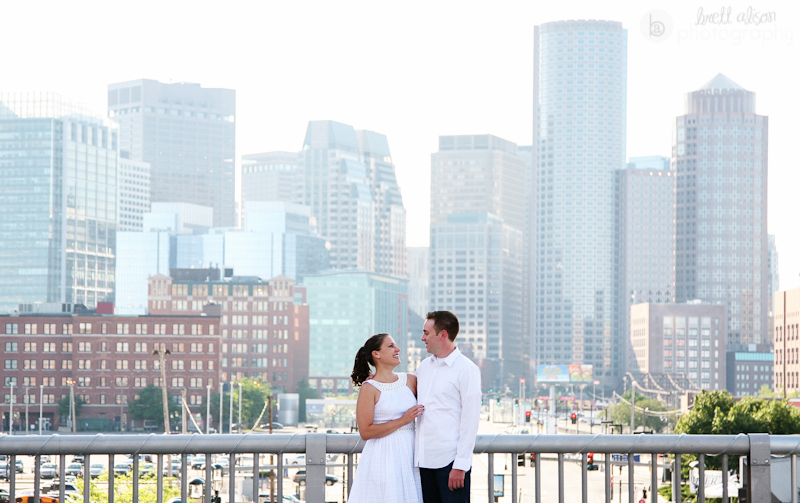 I had hardly visited the Seaport area of Boston at all before Meg & Sean's engagement session - but it is obvious why they chose it - the most breathtaking views of the Boston skyline! 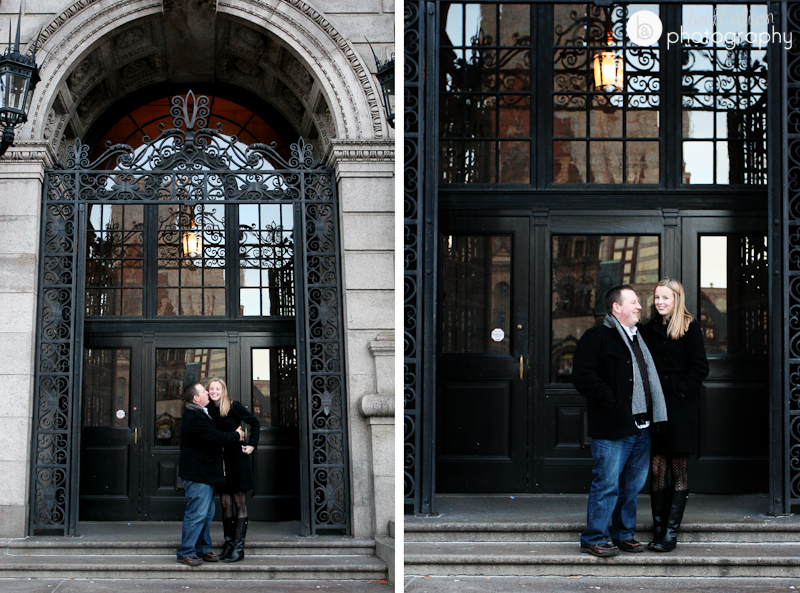 One spot that might not have crossed your mind is the Boston Public Library - but it's a perfect place to cozy up with a book and your loved one! Especially if you are a bibliophile, or maybe if it's a particularly chilly day - the library has several nice locations inside to do some photos before braving the cold. 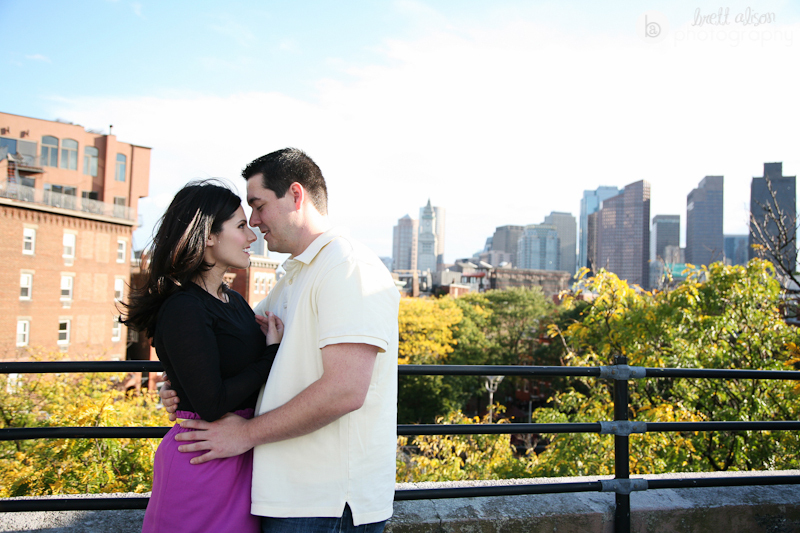 Christopher Columbus Park has the best of both worlds - some lovely greenery (and this beautiful archway), the harbor views, even a carousel - which we did take advantage of in this light-hearted engagement session! Last but not least - but slightly outside of Boston - is the Arnold Arboretum in Jamaica Plain. One could spend hours walking around here and find more and more amazing backdrops. Not to mention it's just a nice place for a stroll!